The best food blog links from around the web this week. Tonight: A peasant dish that's not actually all that humble. Proof that a good salad recipe is shallow water for fooling around. The summer braise you'll want to turn your stove on for. Derek Laughren, Test Kitchen Manager here at Food52, shows us how adding beets to a salmon cure makes for a better lox. We're so close to spring, but we're not there just yet. Let winter's sweet, earthy beets and spring's greens and alliums push you gently toward the new season. 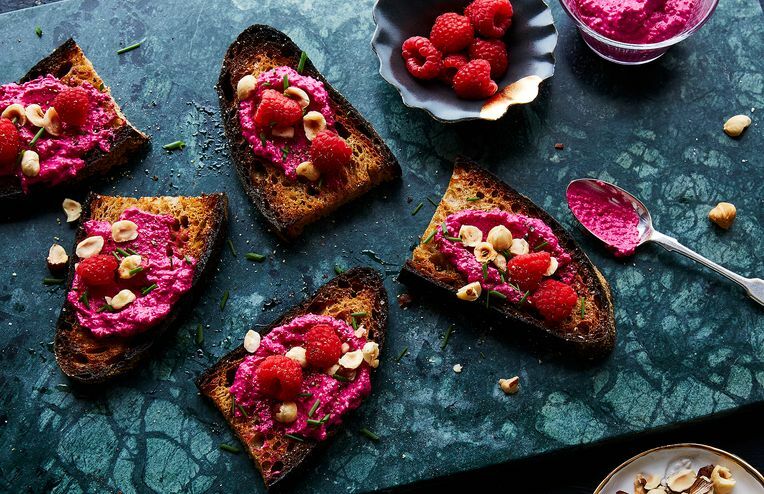 A million ways to pamper your beets. A hearty quinoa-and-beet salad, spiked with pears and walnuts, that's all about moderation. A hearty salad that warms you up from the inside -- and comes together in no time. Turn the humble beet into an elegant ravioli dish. Amanda brings ambrosia salad into the 21st century. The sandwich to end all other sandwiches -- and why you should serve it at your next party. Emily throws a beet in a blender, and something wonderful comes out. Merrill makes a soup to cool us down as the days heat up. We look back at our week with Jody and her simple, soul-satisfying recipes. Don't be scared. Here's how to tackle beets, from the prep to the plate.